With the vision of president and founder Kenneth Flick guiding the company, auto security systems remain the central focus of Omega Research & Development. In 1995, Omega became the only company in the keyless entry arena with a technology designed to prevent crime due to unauthorized transmitter access to vehicle systems. The patented technology, Unauthorized Transmitter Alert, promises to revolutionize the industry. Consumers can now have instant knowledge of any unauthorized access to their keyless entry systems. 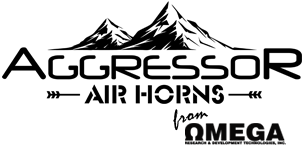 All of the products lines manufactured by Omega are equipped with Unauthorized Transmitter Alert technology. From there, innovation has been our focus. With many industry firsts from the first alarm with plug-in wire harnesses to today's virtual alarm technology and xOS updateable firmware platform, Omega will always see beyond the horizon and push the boundaries of the industry. Omega's mission, as it was over three decades ago, is to provide reliable, leading-edge security and automotive accessory products at an unbeatable value.